Snow is Falling Across The Higher Northern NM Mtns - T-Storms In Southern NM. 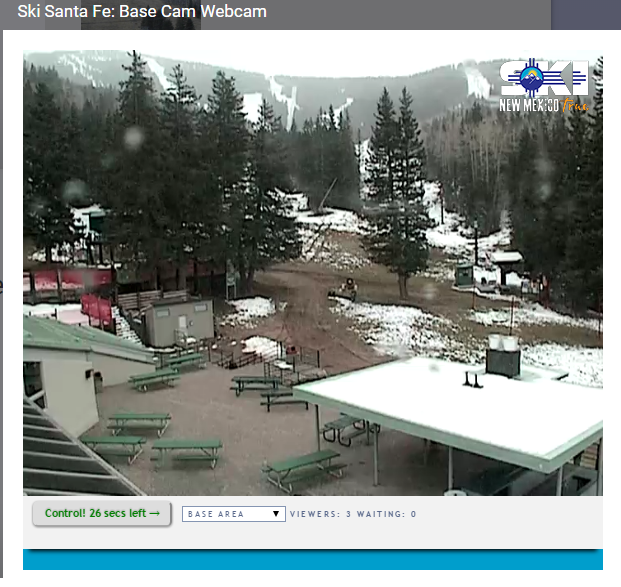 Santa Fe Ski Basin Web Cam @ 11:50 AM MDT This Morning. Our next storm is getting underway with lowland rains, a few thunderstorms, and high mountain snows developing across the northern mountains of the state. 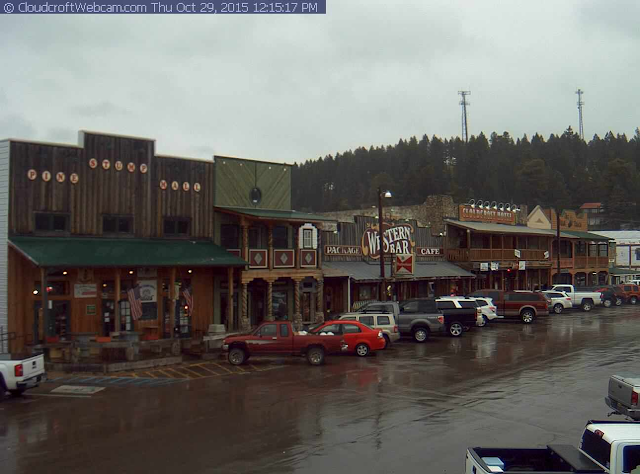 Overcast With Rain Falling & 45°F In Cloudcroft @ 12:15 PM MDT Today. NWS El Paso/Santa Teresa Doppler Radar @ 11:58 AM MDT This Morning. 6-Hour Lightning Strike Data As Of 11:15 AM MDT This Morning. 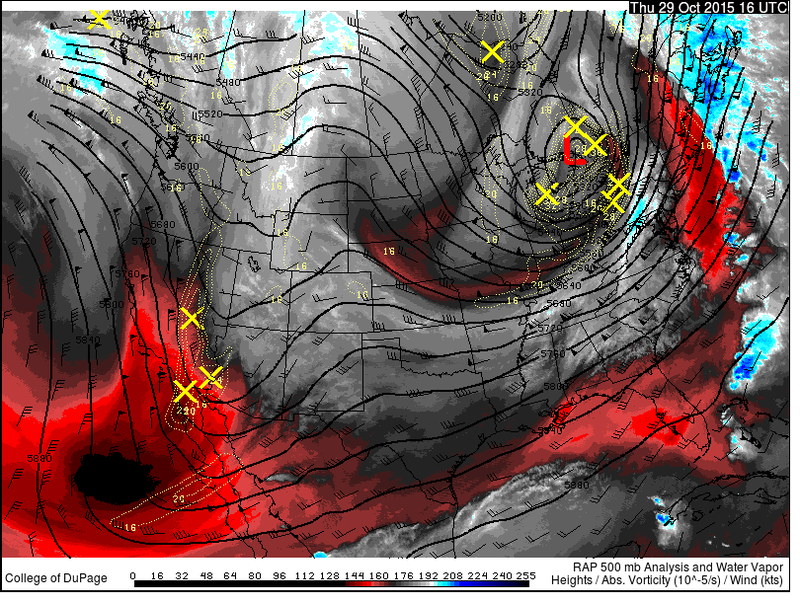 RAP 500 MB Analysis @ 10 AM MDT This Morning. 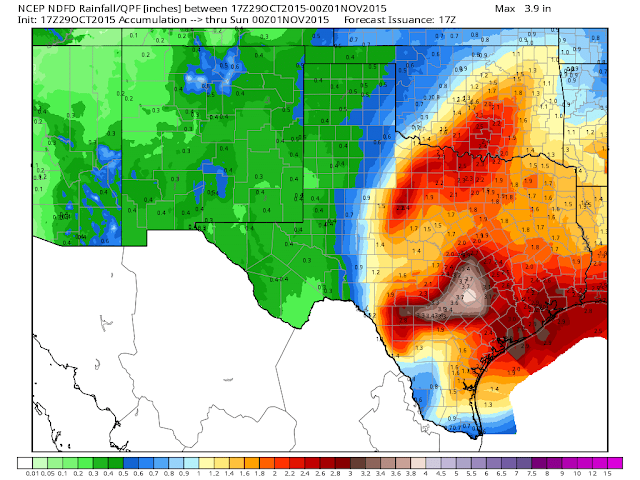 NWS Total Rainfall Forecast Valid By 6 PM MDT Saturday. 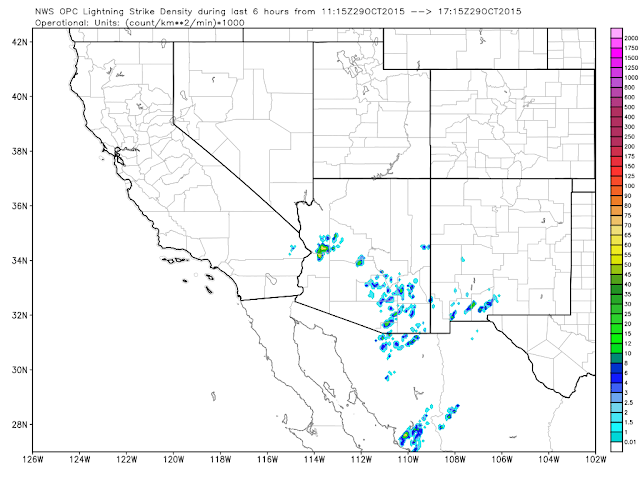 New Mexico is beginning to experience the affects of the next upper level storm that continues to dig into southern California and southwestern Arizona near noontime today. Rain showers and a few thunderstorms are increasing in aerial coverage and intensity from southwest of El Paso to near Cloudcroft. 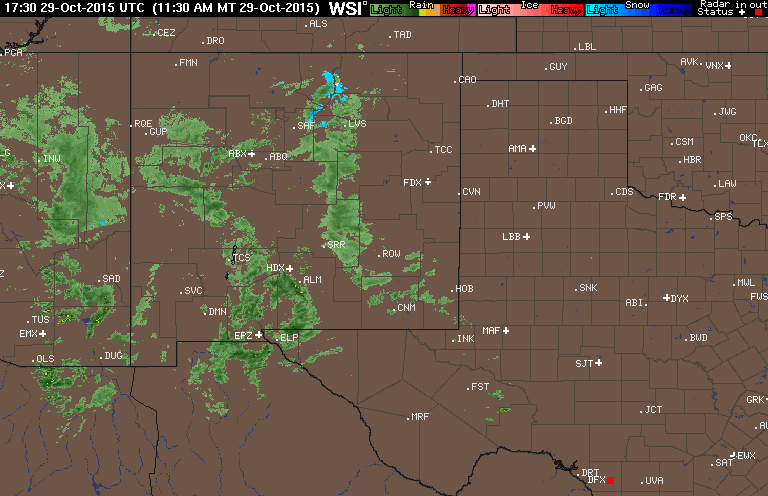 Additional rain showers and high mountain snows are overspreading eastern Arizona eastward to the central mountain chain of New Mexico. Scattered thunderstorms and rain showers are forecast to move into southeastern New Mexico this afternoon with the activity ramping up tonight into Friday night. Overall the latest model forecasts call for rainfall totals of around a half of an inch area wide with a few locations possibly seeing more than this...perhaps a few totals in the 1"-2" range. Snow In The Higher Mountains. Looking at the latest web cam images from Ski Apache you can see that snow has begun falling on the resort. 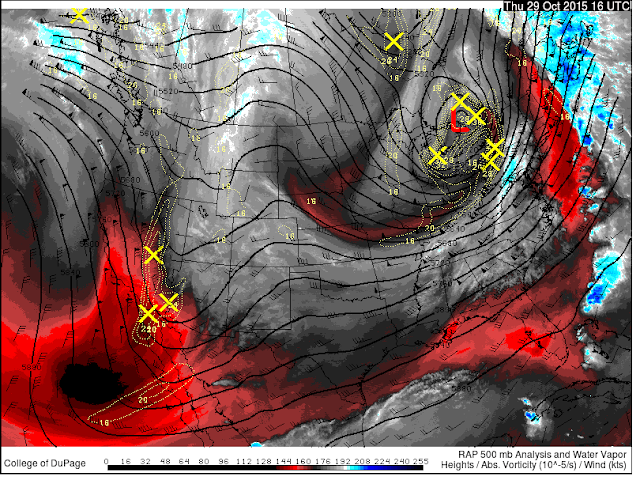 The temp at the Sierra Blanca Snotel site nearby (10,280') is 38°F. Some snow is still possible in the Cloudcroft area tonight and maybe again Friday night if the storm hasn't ended by then. Snow levels will be high generally above 9,000' I suspect Cloudcroft may only see a rain and snow mix with little accumulation. Sunspot at 9,200' may see some snow. 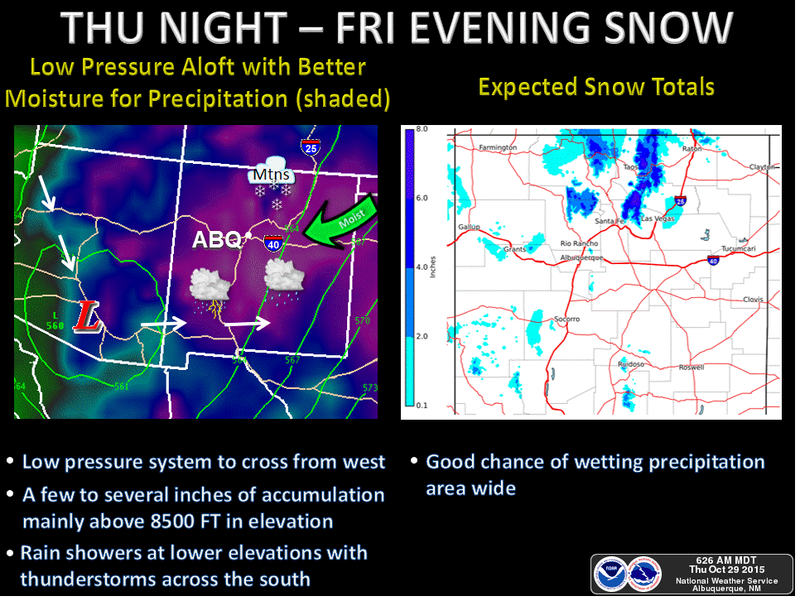 Ski Apache with a base elevation of 9,600' has a much better chance of seeing accumulating snowfall and the latest forecasts are calling for a storm total of perhaps 5". 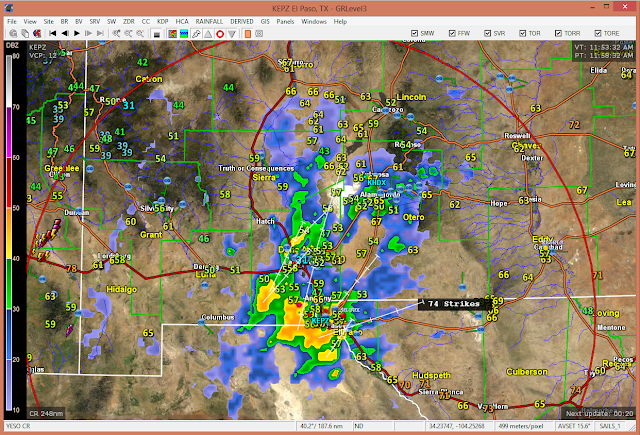 Ruidoso at 7,000' will see all rain.